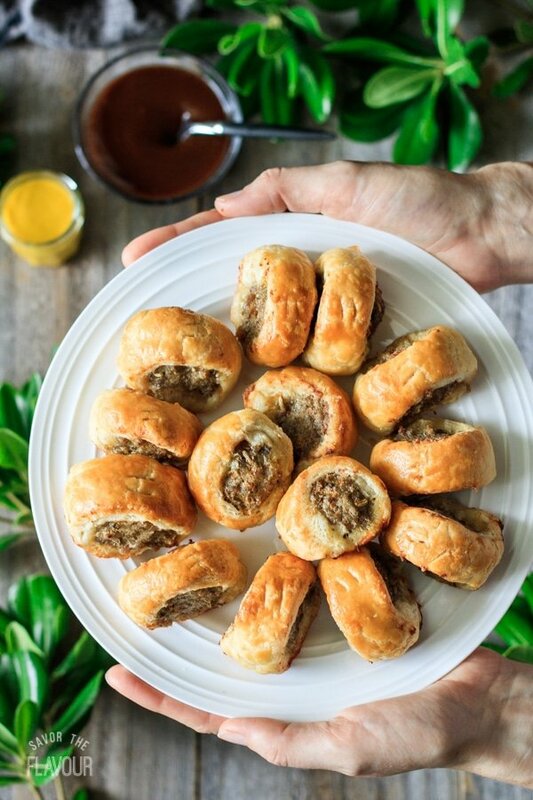 British sage and fennel sausage rolls are made from buttery rough puff pastry and a simple pork sausage filling. Serve this traditional British appetizer warm or cold at a party with HP sauce or mustard—they’ll disappear quickly! Are you a big fan of pigs-in-a-blanket? Well, British sausage rolls are similar, but more luxurious and customizeable. 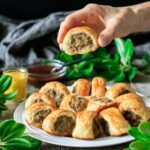 These delicious British morsels are traditionally made from buttery puff pastry and raw pork sausage meat instead of crescent rolls and pre-cooked sausages. Sausage rolls can be made in small pieces as an appetizer, or in larger rolls for a main course. With one taste, you’ll understand why one bakery chain in England sells about 140 million sausage rolls per year! Making sausage rolls is actually quite a simple process. Roll out the pastry, shape the meat into a log, and roll up the meat in the pastry. Slice into individual portions, cut a couple slits in the top to let steam and fat escape, brush with beaten egg, and bake! Almost anything can be added to sausage rolls to change up the flavor. Try brushing mustard, jam, or chutney on the pastry before placing the sausage meat on top. Mix some sautéed onions, mushrooms, or other veggies into the meat to add additional flavor. 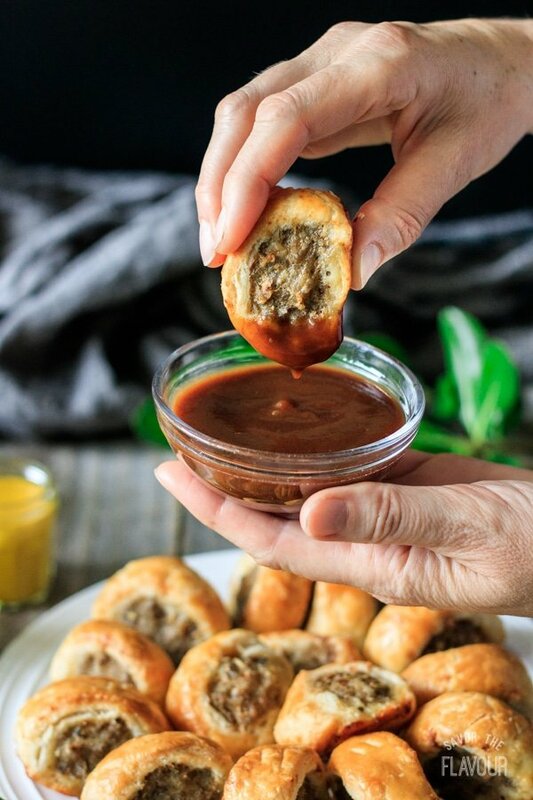 And always serve the sausage rolls with HP sauce or spicy English mustard to take things to another level! Short on time? Squeeze the meat out of your favorite sausages instead of using ground pork. If the pastry on the sausage rolls is soft or greasy, chill for about 30 minutes before baking. Don’t forget to cut two or three little slits on top of each sausage roll to let steam escape. Remove the sausage rolls from the cookie sheet as soon as they’re done baking so the pastry won’t get soggy. You can bake frozen sausage rolls without thawing them; just increase the baking time. Looking for more delicious appetizer recipes? Your family and friends will be impressed with these ones. 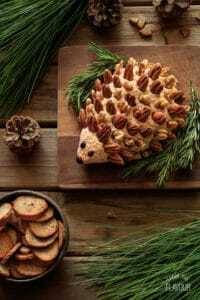 Woodland Hedgehog Cheese Ball: an adorable onion-flavored cheese ball for a baby shower or woodland party. Cucumber Shrimp Appetizer: an elegant appetizer perfect for a ladies’ tea or special dinner. Onion, Thyme, and Goat Cheese Tart: this lovely tart is just the thing to serve at a brunch. Made these sausage rolls? Share how you liked them. Place the ground pork in a large mixing bowl and add the spices. Mix with your hand until well combined. Preheat the oven to 400 F. Line an 11 by 17-inch rimmed cookie sheet with parchment paper. Crack the egg into a small bowl and beat a fork until well blended. Roll out the pastry on a lightly floured surface to a 10 by 18-inch rectangle. Cut the rectangle in half lengthwise. Shape half of the meat mixture into about an 18-inch log, then lay it on top of a pastry rectangle. Brush one long side of the pastry rectangle with beaten egg, then roll the pastry tightly over the sausage so the pastry overlaps. Pinch the seam closed, then place the roll seam side down. Slice the roll into about 15 pieces and place the sausage rolls about an inch apart on the prepared cookie sheet. Repeat with the remaining meat and pastry. Brush the pastry with the remaining beaten egg, and cut two or three little slits in the top of each roll with a sharp knife. Bake at 400 F for 35-40 minutes, until the pastry is well browned and the meat is cooked. 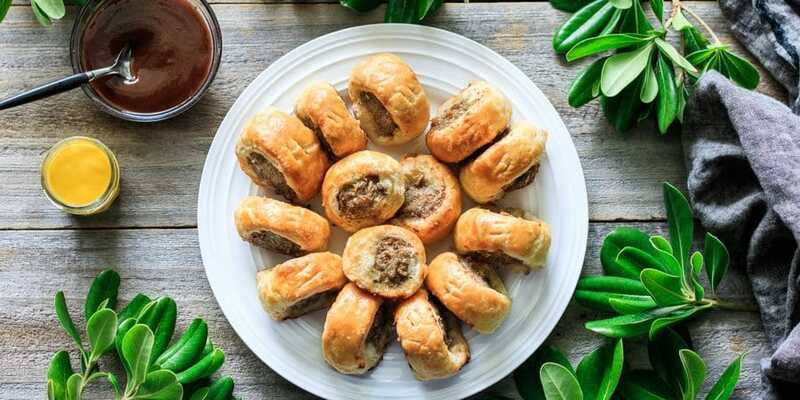 Test the meat’s temperature by stacking two or three sausage rolls and sticking a meat thermometer through the center of the rolls. The temperature should be 160 F.
Immediately transfer the sausage rolls to a wire rack to cool a little. Serve warm with HP sauce or English mustard. If the pastry on the sausage rolls is soft or greasy, chill the sausage rolls for 30 minutes before brushing with beaten egg and baking. To freeze unbaked sausage rolls, let them freeze on a cookie sheet, then store in an airtight container or freezer bag. They can be baked from frozen; just remember to increase the baking time. I haven’t made this yet but it looks delicious! Keep up the excellent work on your blog.